Local queries dominate nearly 46% of all the searches performed on Google. Every time you perform a Google search, the result pages list out businesses that are near to you. This feature has been upgraded distinctively thus you no longer have to suffix ‘near me’ in the search bar to get the necessary results. Google already provides you with location-based results. Google has itself stated that comparable searches without “near me” has increased by 150%. But how did those particular gyms secure the top ranking? Well, it’s because they have been working on their local SEO. What are those factors that can help your business rank higher on local searches? Before starting with Local SEO, you need to have a website for your business. You need to structure it and make it functional. It is advisable because more than half small business still doesn’t have a site. It is necessary for every business to have a website because when it comes to learning about a company, 97% of consumers researched online. It is understandable that websites require continuous attention and management, you can seek help from content management systems like WordPress, Drupal, to create a site in an instant and have an online presence. Nowadays, a majority of people are using social media; research suggests that 3 Billion people around the world are actively using social media. Having an account on social media gives you the freedom of interacting more profoundly with your audience. And monitoring their comments and mentions can help you determine what type of content they are looking. Furthermore, this can widen your mentality about your audience. After finishing creating your website, you need to start building its presence and the first way to do that is by registering it in Google My Business. Nearly 1.17 Billion people confide in Google and regularly get their queries resolved on this search engine giant. So, it is plausible to state that you need to begin by building your local business’ presence on Google. 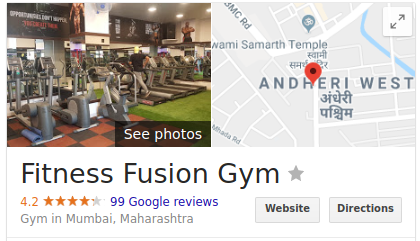 Visit Google My Business register your business along with the address, contact information, working hours, location, delivery, etc.. this will help Google deliver better-localized results to its users and you more customers and awareness. After registering in Google My Business, you can start building your presence in other online directories like Yelp, Yellow Pages, etc. It is crucial that you do so because online directories dominate 13.31% of the local search ranking factors. There’s one essential point that you need to remember while registering your business on any of the online directories (including Google My Business). The information you provide to such directories will have to be accurate and similar in every scenario. 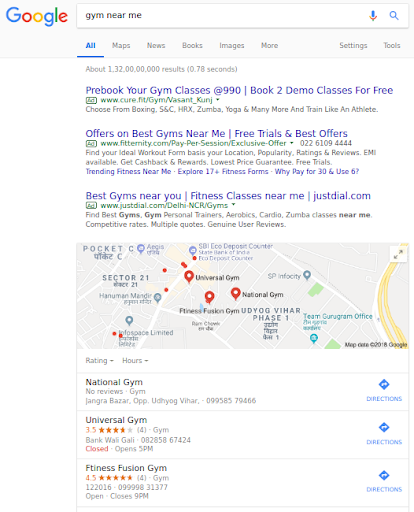 Doing so not only gives you a stronghold over local SEO but also the audience can quickly locate you irrespective of the online directory platform that searched for your local business. If you aren’t sure about how you can manually get your business on all these directories, using a tool like Synup will help. When you register in an online directory, you are unknowingly creating backlinks, and they have nearly 17% influence on local rankings. In addition to that, backlinks increase domain authority of a website thus stamping them as trustworthy. After marking your presence in online directories and social media, it is necessary that you increase your SEO efforts even further and one prominent way of doing that is through content. Content can engage with the audience and even compel them to make a purchase or subscribe to your website or blog. When doing local SEO, the focus should not majorly be on general mainstream content. You need to create content pieces focussing on your local audience in mind. You can create blog posts or social media posts on any locally celebrated occasion. You can even introduce offers and discounts in your local store. There’s no SEO without on-page or off-page optimization. You’ve already done off-page when you build backlinks through online directories. Now, you need to focus on on-page optimization to boost SEO. You need to begin on-page by doing keyword research and listing down every keyword according to search volume. You can widen the list with LSI keywords and long tail keywords. After listing out the keywords, you need to organically use them in your content pieces, meta descriptions, h1 tag, alt tag, slug, title, etc.. remember not to stuff keywords, instead organically use them. Customer reviews are crucial to every business, be it online or offline. It helps a business improve and scale. Customer reviews dominate around 13% of the local search rankings. When users search for an online business, one of the first things that they notice is your ratings. Such customer reviews and ratings can affect the sales of your local business and even influence the footfall attracted by your offline store. They also help users differentiate between businesses under the same niche. For instance, if your business has lower ratings and more negative reviews, then users are more likely to go for your competitors who have a higher rating and more positive reviews. However, you can use a review generation wizard to turn this around, if your business has a low star rating online. 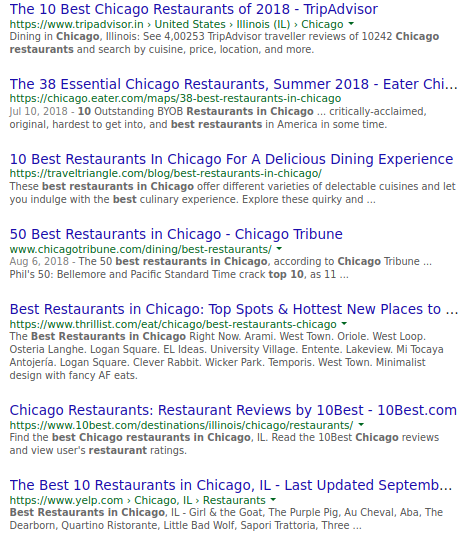 As you can see, a majority of the search results are online directories that list the ‘10 best restaurants in Chicago’ by monitoring customers reviews, comments, and ratings. When you get listed in popular directories, key metrics such as your business’ footfall, sales, and brand awareness will increase. Furthermore, you get more backlinks when that particular content piece directs you to your business. 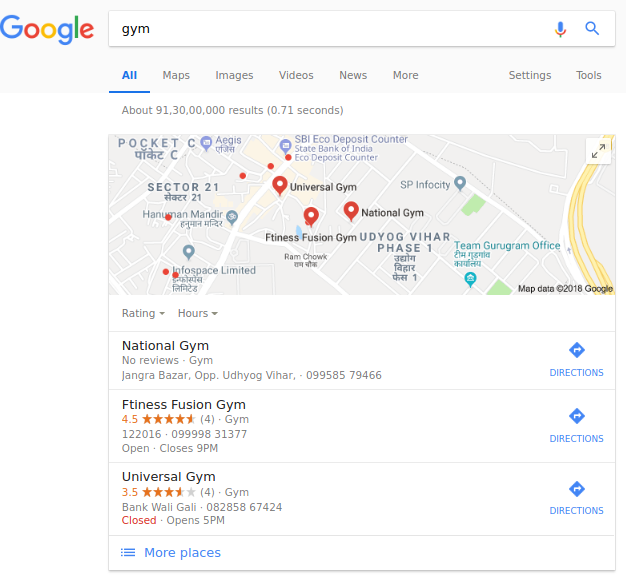 Getting your local SEO done right is not difficult, and these detailed pointers will help you improve your local business’ marketing in no time. The efforts you put into optimizing your site for local rankings can be valuable to your Google Voice Search optimization as well because more or less, it is influenced by the same local SEO factors; however, there are additional techniques like FAQs, that can help you optimize your business’ voice search more efficiently. Started optimizing your website for local searches today. It’s never too late to do the right thing. Sahil is the CEO and Founder of Rankwatch - a platform which helps companies and brands stay ahead with their SEO efforts in the ever growing internet landscape. Sahil likes making creative products that can help in automation of mundane tasks and he can spend endless nights implementing new technologies and ideas. You can connect with him and the Rankwatch team on Facebook or Twitter.